Designed for the Peavey Classic 20 Mini Amplifier Head! Guitarists know finding the perfect cab for your amp head is crucial. The Peavey 112-C extension speaker cabinet is flawless in looks and tone for mating up with your Classic 20 Mini guitar amplifier head. The 30-watt 112-C speaker cab has more than enough power handling to take on the 20-watt Mini head. 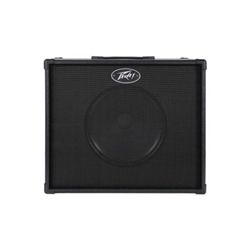 Unbelievably versatile, you can convert it from closed- to open-back design for tonal variety, getting you the most out of your guitar amp head with the Peavey 112-C extension speaker cabinet!